Gear reviews do you follow them blindly? – Summituphere? Gear reviews do you follow them blindly? I must hold my hands up here and admit “I am a bit of a gear junkie” there I’ve said it. This is not about kit but on why we choose our apparel my old sociology lecturer alway said ask questions why are they doing that? and does that effect why we do this? course Chris Townsend @www.christownsendoutdoors.com both prolific in there assertions of new kit. I have taken advice from both Martin and Chris regarding gear, as I have recently been replacing or upgrading my stuff. There are three factors I take into account firstly cost being a miserable Scotsmen got to look after the bobees then obviously performance and durability. Now call me an old cynic but this is where I like to start looking at what’s in it for reviewers of kit are they going to give favourable reviews simply because they are receiving free samples (cat amongst the pigeons) or can they honestly be objective. Bearing in mind a lot of guys and girls have in there agreements the right to be critical. As I have stated I’ve been replacing and updating kit firstly it was the trailstar I had done the usual research online on performance etc. but never having used this type of shelter which is basically a tarp I sought advice from the best people to ask owners and users of the trailstar. Now Martin and a few others gave me the heads up on the trailstar after that it was a no brainer. I can sometimes be a little compulsive in my purchases I wanted a second shelter for the coming year and when the Hex Peak came on the market that too was going in the man’s cupboard upstairs. The basic reason I chose the Hex was down to cost I had looked online for reviews but there was not a lot to go on so it was a bit of a gamble fortunately one that paid of. This allowed me to upgrade my bivvy, shell, and invest in some trail shoes. Now the other purchases of the shell jacket in particular I had looked at quite closely having lost faith in my Paramo I wasn’t prepared to pay upwards of £300.00 for a well known or popular brand so had to try and make a compromise. 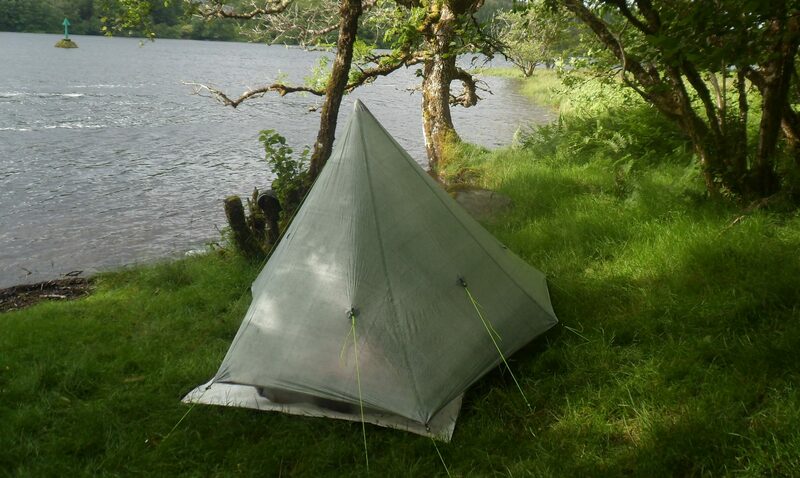 I had scoured the net for three or four nights making various notes on quality and reviews that were unbiased my final decision was on the Karrimor Phantom Elite 3 layer Event now the purchase price was half of some of the more popular brands. I can honestly say I wasn’t disappointed, it has performed to the equivalent of the big names. Secondly I have been a fan of The North Face trail shoes in particular the hedgehog range I have worn these on a daily basis for knocking about with but decided to adorn myself with the new hedgehog guide. Believe it or not the past two weekends were the first I had used this type of shoe on the hills I am now a convert. More recently I bought myself a down jacket which for weight to heat ratio compares with the more expensive in the sales price fifty quid to twenty. My personal feelings on kit choice are do seek advice from the likes of Martin and Chris or anyone else out there that has used the kit but as I am sure they will agree it’s down to individual choice and needs. Ask advice – wieigh up pros and cons – personal needs. Previous postTake One sheep and a Wild night out. Next postWalk reports for the uninitiated. Agree. Choice and need. I also remind people check reviews for a discloser to see if they bought it, or got it free. And check to see if they used it lots and have proof it was used. Too many reviews are bogus. Claims lack evidence of use.